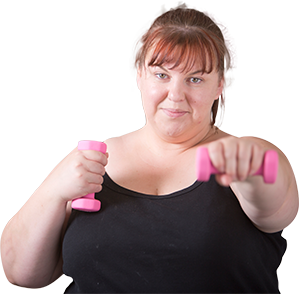 Here at OnTrack we're not like those other weight loss retreats or TV shows that make you roll tyres around in the mud, or have personal trainers reducing you to tears. It doesn't work. Enjoy hours of varied fitness classes each day at YOUR fitness level. Get the best advice with expert and supportive trainers by your side. Trainers that will challenge you to take things to a new level - but in a supportive way. At OnTrack the fitness program isn't designed based on a gimmick, or TV show. It's based on what works, and what gets results. 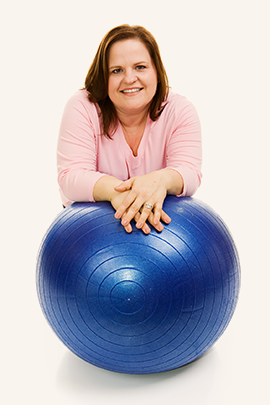 "I hated fitness & exercise before I can came to OnTrack retreats. Now I love it!" "I was so unfit when I arrived, I'm amazed by what I can do now"
Do you consider yourself unfit? Or, perhaps have some previous injuries or restrictions?Dont worry. Here at OnTrack we welcome many guests just like you. Our progam is suitable for all fitness levels.